This comprehensive guide offers teachers everything they need to inspire students to write and experience poetry as they build language skills. 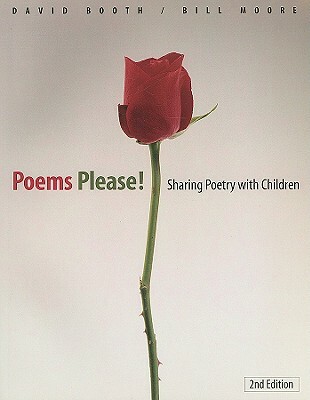 The book combines the rich background of poetry with sample poems and activities that are ready to use in any classroom. This new edition is updated with discussions of such contemporary poets as Naomi Shihab Nye, Karen Hess, Cynthia Rylant, and Mattie Stepanek. Based on the classroom experiences of two master teachers with an obvious love of poetry, readers will find answers to the common questions surrounding the study of poetry in the classroom.What is poetry?--from poems old and new to celebrating children's poetry;How do poems work?--from painting pictures with words to tricks of the trade;Why should we share poems with children?--from increasing word power through poetry to poetry as a way of thinking.The book also covers:ways to present poems--from using narration and mime to a model for presentation;when children write poems--from patterns for poems to using riddles, personification, and stream of consciousness;classroom concerns--from assessment techniques to tips for choosing and displaying poems in the classroom.An updated bibliography of the very best children's poetry anthologies and books for children complement this remarkable book. Bill Moore is a teacher, actor, writer, director, and poet who has worked with students, teachers and audiences throughout North America and England. His plays, poems, articles and stories have been published extensively and he has appeared frequently on stage, screen, and radio. David Booth is Coordinator of Elementary Programs at OISE/University of Toronto. For more than 25 years he has worked with teachers in creating, applying, and evaluating approaches to how children learn to read and write. As a classroom teacher, consultant, speaker, and writer he has delighted thousands with his energy, enthusiasm, and commitment. He has given hundreds of speeches and workshops throughout North America, Australia, and England and has appeared on dozens of television and radio programs.